I’m not one for gimmicks or quick fixes. Being in robust health doesn’t happen overnight but generally takes making significant changes to diet, movement, mindset, stress, sleep, etc over an extended period of time. However, there has been one food that I believe has made a tremendous difference in my overall state of health. What is it? Organ meats and in my case, specifically liver. In my mind this is the superfood of superfoods. I had made all the changes. I ate a super clean real food, paleo type diet, I slept 8 plus hours a night, I walked everyday, I eliminated stressors in my life, I got rid of toxins from cleaning supplies and beauty products, but still I was having a hard time balancing my hormones with abnormally long cycles and was having a hard time getting pregnant. Then entered, organ meat. 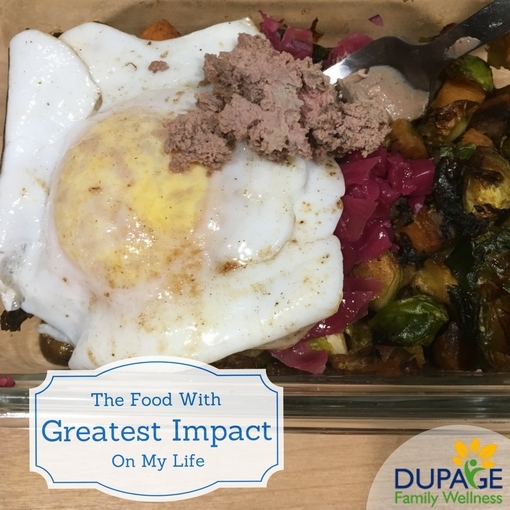 I had known it was good for me for a long time and even would sneak it in every now and again in ground beef dishes but I never fully took the plunge. I decided to start making liver pate and eating 1-2 tbsp daily on my morning vegetables and eggs. Within a couple months of making this single change, I became pregnant with our now 2 year old daughter. This was after 3 years of trying to get pregnant and one early miscarriage. Unfortunately with the first trimester nausea, I was unable to keep up with my liver pate routine and did not eat it the rest of my pregnancy. About a month after my daughter was born, I had a very real dream/urging from my body to begin incorporating liver again into my diet. I obediently went to whole foods, processed up some chicken livers and jumped on the bandwagon again. This time, I continued my daily liver pate ritual for good. I had an extremely smooth postpartum experience and never experienced many things that I heard were “normal” (i.e. hair loss, hot flashes, mood swings, depression, etc). Fast forward to thinking about baby number 2. This time my body got pregnant on my very first postpartum cycle. Again, about 8 weeks into the pregnancy, liver pate just didn’t sound as appetizing so I cut it out for a few weeks. Lo and behold, a few weeks later I had that same dream/craving experience from my body during the night telling me I needed to incorporate liver back in and have been faithfully eating it ever since. All that to say, will liver solve all of your problems? Nope. I just wanted to share my experience when all other factors stayed constant, this one single variable seemed to play a HUGE difference in my body’s ability to balance hormones and regain fertility. This chart from Chris Kresser, a highly respected functional medicine practitioner, in his article “Liver: Nature’s Most Potent Superfood” sums in up very well. In every micronutrient category beef liver exceeds apples, carrots, and red muscle meats. While we are often led to believe that fruits and vegetables are the best sources of vitamins, minerals, and trace elements that we need, in actuality, we can get much greater doses of these things in meat, specifically organ and liver meat. In fact, in many traditional cultures, only the organ meats were consumed while the typical muscle meats that we are familiar with today were given to animals or discarded. Before you go running to your local grocery store to pick up your liver, proper sourcing of organ meats is vital. I am a huge advocate of sustainably sourced meat across the board. That means meat raised outside in a pasture and free of hormones, antibiotics or commercial feed. I believe that sourcing organ meats in this way is particularly important. But, have no fear! The trend hasn’t picked up yet, so grass fed organ meat is extremely inexpensive to purchase. I can buy both grass fed chicken and beef livers at our local Whole Foods for only a couple of dollars per pound! If you are looking to find a local farmer to source from, this site is a great resource. How the heck do I eat it?? Thankfully, you have a few options. From the adventurous foodie to the picky eater, there are choices that everyone should be able to stomach. This is an easy way to hide it from yourself, your spouse, and your kiddos so no one is the wiser that they are actually having a superfood feast. Take thawed beef liver and grind in food processor (or meat grinder if you have one) and incorporate with ground beef. I freeze pureed liver in silicone muffin cups and add one or two per pound of ground beef. You can experiment what ratio works for your family but for us, I never even tasted the liver at that amount. Depending on the time and money you want to spend, there are a few choices. To save money, you can make your own liver “pills” with a little bit of effort. To do this, cut thawed liver into small “pill” sized portions. 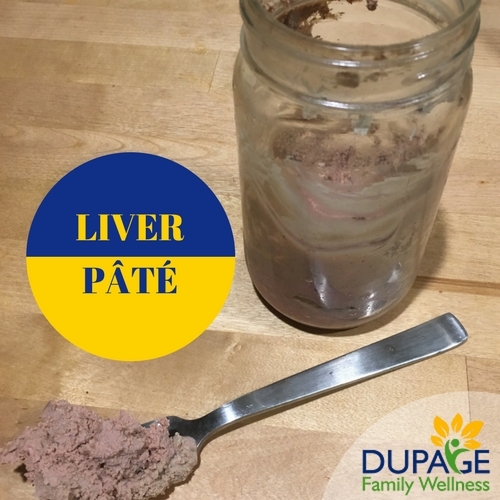 Place these small liver “pills” in a single layer on a cookie sheet lined with wax paper, parchment paper, or a silicone baking mat and freeze. Once frozen, store in sealed bag or container and pop in a few every day for your daily dose of liver just like your daily vitamin. Alternatively, you can purchase dessicated liver capsules, like this one. This is my prefered method! Liver pate is our go to. It’s an easy way for the whole family to eat liver every day. We use this beef liver recipe. We make a large batch of it (2-3x this recipe) and freeze it in ½ - 1 cup size portions in small mason jars and remove as needed, eating about 1-2 tbsp per day. For me, it was a bit of an acquired taste but after a couple of days, I had no problems eating it and soon craved it and looked forward to eating it. My husband and my daughter have thought it was delicious from day one. Personally, I like it much better eaten warm with a dish (like I mentioned earlier, I eat it with breakfast on my vegetables and eggs) then cold dipped with apples or vegetables but whatever works for you! If you can’t stomach the taste of beef livers right away, start with chicken livers (this is how I got started). They have a much more mild flavor and are generally easier to stomach. They do not carry quite the same nutritional punch but are still incredibly nutrient rich. It was much easier to make the transition from chicken livers to beef livers then jumping right into beef. Cook It and Eat It! You could also go the more traditional liver and onions route. If you did this, I’d suggest eating it at least once if not a few times a week. I like the seasonings in this recipe, but I also add onions. Have you ever tried organ meat? What’s been your experience?